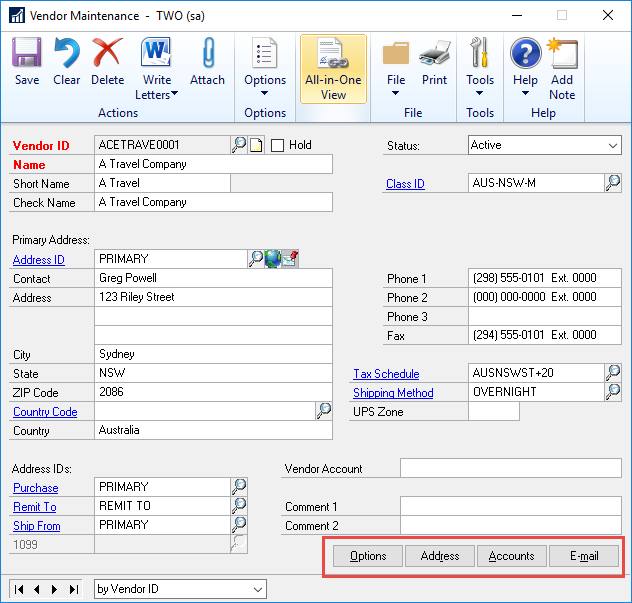 Original post written by Belinda Allen, Microsoft MVP. Several versions ago, Microsoft introduced a method of working in GP that did not require the application to be installed locally, rather users would access the data (on a server) via Internet Explorer (your web browser.) Most of you probably saw this in demos, maybe sat in on webinars/conference sessions and thought cool; never making the leap. I know I fell into that category. Within the last year two major things happened: My company joined NjevityToGo AND Microsoft released Dynamics GP 2016, which changed their web client from Silverlight to HTML5. Why are these two items relevant to my transition to a “GP Web Client Girl”? NjevityTogo is a Cloud Partner for Microsoft Dynamics GP and CRM Partners. That means we host data for Microsoft Dynamics GP and CRM partners. We manage the Windows and SQL Servers for end users, allow those users to either use the GP Web Client or a Remote Desktop Connection to access and work in the GP Data. NjevityToGo dog foods, which is a silly term that means we use our own tools so we experience the same benefits (or issues) that our customers face. It makes us better at providing a delightful user experience. I also mentioned that Microsoft changed the technology that the GP Web Client used, from Silverlight to HTML5. Forget the technical reasons this is cool, you only need to know that now we can use GP Web Client on any browser, even Safari ON YOUR IPAD! There was another major event that just happened this month. NjevityToGo launched our newest offering PowerGP Online. PowerGP Online is GP being offered as a SaaS (Software as a Service.) For a small monthly per user fee, users can use GP via any browser. The data is stored in Microsoft Azure. To Make PowerGP Online even better, we’ve added importing capabilities, modified screens, additional SmartLists and more. Part of the “more” is a SUPER Cool iPad App that reads LIVE GP data. So all these things converged, kind of forcing me to use the GP Web Client. At first it was awkward. I had no issues finding windows and fields, as it really is laid out EXACTLY the same. The biggest differences in windows is that where a button exists in the Rich Client, a tab exists in the Web Client. 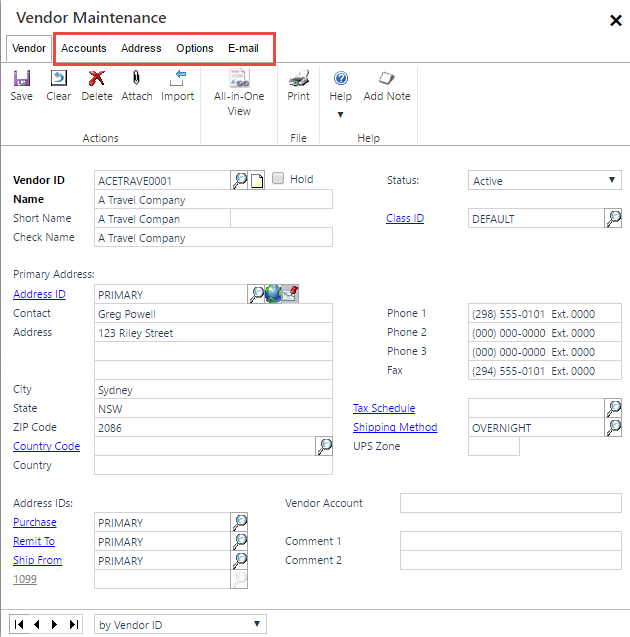 Below is the Vendor Maintenance Window from the rich client. Notice the 4 buttons across the bottom. Those of you who know me know that I’ve been in theGP Community since DOS days. Like many Microsoft Dynamics GP partners and customers, I tended over the years to stay in the “On-Prem” world. Below is the same window from the web client. Notice the buttons from the rich client are tabs in the windows client. Tabs or buttons, it really doesn’t matter, it works the same, it even looks the same. Speed is not a factor either, the GP2016 web client is fast. So what is different? Opening multiple windows. Read the entire paragraph as I’ll start by saying something that sounds like a negative, but Microsoft added something special to the web client that not only counteracts what I’m about to say next, but makes the web client better than the rich client. When you have a window open like the Vendor Maintenance window (above), you can open or drill back to any window that is available from the window that is open. In the case above it would be the Class ID window, Address ID window, Tax Schedule window, etc. If you want to open another window like the Budget Maintenance window, you can’t just go and open it until you close the Vendor Maintenance window. At least not in the same fashion as the rich client, or the pre GP2016 web client. 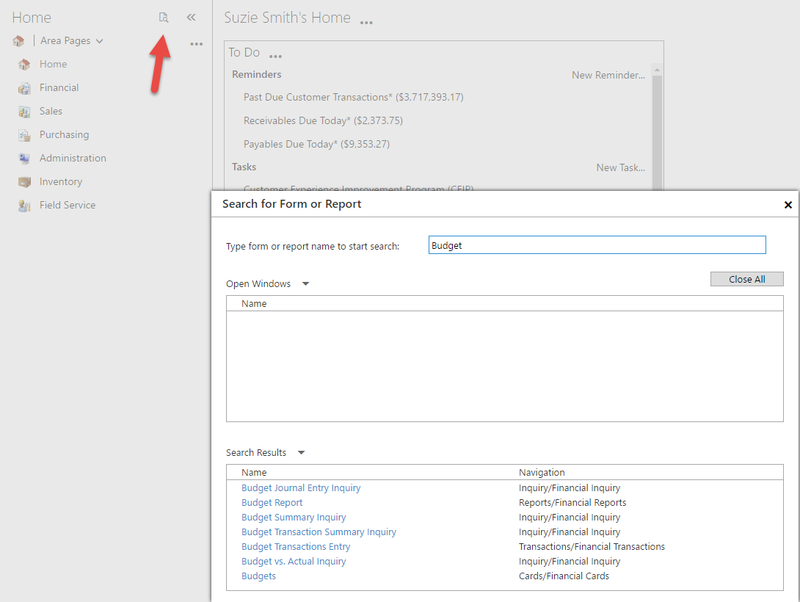 Introducing the Search for Form or Report window. In the top right of the navigation pane in the web client is a search button. You can start typing anything and the windows that match what you are typing appear in the list of results. You can even see all the windows you have open and toggle between them. This tool is so cool; I find myself missing it when I am using the rich client now. It really makes the web client version better. My first week of using the web client I was iffy. After that first week, I’m not only a convert, I’m an evangelist. I LOVE THE WEB CLIENT. I love getting to my data from whatever device I have in my hand, my desktop, my Surface, my notebook, my iPad, and (for kicks I did it once) my iPhone. AWESOME!!!! One week and you’ll be converted too. What are you waiting for??? Click Here to see original post and to follow Belinda, the GP CSI blog for everything GP.